HALIFAX, NOVA SCOTIA – Nova Scotia and Prince Edward Island are not particularly big, except for on the links. 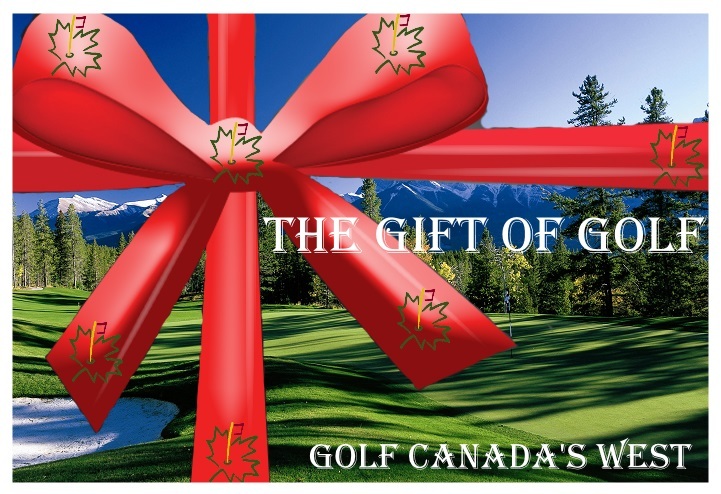 Canada definitely features some high quality golf on these little lots of land that can be the highlight of anyone’s Canadian golf vacation or golf package to Nova Scotia or PEI. Despite the large amount of golf courses, don’t fret because we are going to lay out your Canada golf vacation’s perfect itinerary to Prince Edward Island and Nova Scotia. Arriving to Canada is one of the best parts of a golf vacation to PEI and Nova Scotia. Take the “Cat” (catferry.com) from Portland, Maine to Halifax, Nova Scotia. The Cat is a sleek, high-speed catamaran ferry that’s more like a cruise ship to Canada. If you want to see to the picturesque Nova Scotia golf courses from the US mainland, it’s a great alternative to the long drive. Discovery Channel called it one of the world’s top-10 super ships. The Cat has movie screens, restaurants and even a casino (slot machines only.) It holds cars, motorcycles, bicycles, RVs, or you can just walk aboard. The ship travels up to 40 knots, and rates range from $64 to $99 for passengers, with the shorter Bar Harbor to Yarmouth route being cheaper. Vehicle rates are $115 to $164 for cars, with varying rates for trucks and smaller vehicles. There is a port and security fee of $10 each way. Bring your passports or be turned away at customs. Drive from Yarmouth to Halifax, Nova Scotia. STAY: The Lord Nelson Hotel (www.lordnelsonhotel.com) is one of Halifax’s oldest historic hotels, with an idyll location if you’re looking to spend time in the city. It’s across the street from the Public Gardens, in the heart of downtown, and has a variety of guest rooms and suites, a fitness center, wireless Internet access and the usual amenities of a fine, downtown hotel. The Lord Nelson has an excellent concierge service that can take care of theater tickets or take-home fresh lobster. It’s also close to the cemeteries where victims of the Titanic are buried, the Spring Garden Road shopping district, Point Pleasant Park, St. Paul’s Church and the old burying ground. So it can be a nice side trip on the way to the golf course. You can take city tours on double-decker buses or harbor tours on all kinds of boats, including tugboats, sternwheelers or sea kayaks. PLAY: Glen Arbour, which as you Scots know, means “a valley of trees,” and that is a good description; Canada’s Glen Arbour has tree-lined perimeters and a valley through which the golf course is routed. There are numerous natural elevation changes and a lot of water with three lakes, each of which is usually in view from virtually anywhere on this Halifax, Nova Scotia golf course. The fancy clubhouse overlooks pristine Sandy Lake. Halifax’s Glen Arbour has lush bent-grass tees, fairways and greens, and the natural lakes and streams that cut through the layout are usually in play, if not always in view. Glen Arbour is a scenic, playable course that’s convenient to city dwellers or tourists visiting Halifax. It won’t overwhelm you with its length, being 6,800 yards from the back tees. Drive to Baddeck, Cape Breton, one of the world’s most scenic drives. STAY: The Inverary Inn Resort was originally built in 1850 and still retains that antique aura though it now has all the modern amenities, including a spa, indoor pool, fitness center, meeting facilities and wireless Internet. The Inverary Inn rests on 11 acres hard by a beautiful lake, with a waterfront boardwalk, and rooms as well as cottages. It has the Thistledown Pub and an excellent restaurant. PLAY: Bell Bay is a nice Cape Breton golf course outside a quaint village in one of the loveliest parts of the world. It goes without saying, with an intro like that, that this is one scenic course in Cape Breton, Canada. So scenic, in fact, that many people choose to get married in an area near the 18th tee box, which has a spectacular view over the Bras d’Or Lake, surrounded by Canada’s high hills and low mountains. The French name stands for “arm of gold,” and it is indeed a dazzling lake, fed by both Canada’s section of the Atlantic Ocean and freshwater rivers flowing down from the mountains. The lake is so big – about 60 miles long and 30 miles wide in places – it’s sometimes referred to as a gulf or an inland sea. Architect Thomas McBroom knew what he had to work with, and laid out the course beautifully around the Canadian landscape; there are few spots on the course where you don’t have broad views of the lake or mountains or just big, blue sky. The course itself fits in well with its spectacular surroundings. It has good elevation changes, but not overwhelming, and the fairways have good movement, with some tilted at fairly sharp angles. PLAY: To get to Highlands Links Golf Club, travel a narrow and winding mountain road from Baddeck. Travel up through the Northeast Highlands, and when you hit Cape Smokey you travel even farther up, looking at nothing but the side of a mountain and a deep blue sky. Finally, travelers on a golf vacation will reach the village of Ingonish. But it doesn’t end there, and still you journey on, to the Cape Breton Highlands National Park. This is where you will find Highlands Links; it’s one of only two golf courses still owned by the government of Canada. The drive alone is worth the time and struggle to reach this stunningly beautiful course on the rugged coast of northern Cape Breton. Highlands Links is as visually stunning as its Canadian surroundings. Acclaimed Canadian architect Stanley Thompson used the natural terrain beautifully, and the layout climbs up and down the coast, and up and around the hilly interior, with mountains rising around you. Take the ferry to Prince Edward Island. STAY: The Pictou Lodge and Resort is a stunning resort right on the sea at PEI, with views as far as you can see, and sandy beaches to relax on and listen to the waves hit the shore. It’s an open, ocean-side resort with log cottages and private beaches, close to the PEI ferry. Some of the rooms come with large, whirlpool tubs or stone fireplaces. The resort’s Sunday brunch in the fireside dining room – fresh fish and lobster – and Oceanview Lounge are a treat after a long round of golf on your Canadian golf vacation. Pictou (www.pictoulodge.com) has a heated outdoor pool, nature trails, a large freshwater pond with canoes or pedal boats available. Or, you can try sea kayaks. There is also a mini-golf driving range and a practice putting green to tune your shot before hitting the golf course on Prince Edward Island. PLAY: The Links at Crowbush Cove is a terrific golf course in a beautiful setting, though it isn’t technically a links course. Crowbush is laid out near the dunes on the north shore of PEI, Canada. The first few holes are tree-lined, parkland holes before the golf course winds toward the sea. It’s a well-groomed course, with sharp-edged bunkers and clear distinctions between fairways and roughs, unlike the more natural, true links layouts. You can hear the roar of the nearby PEI ocean from over the dunes in the middle section of the course. This Prince Edward Island golf course is a Thomas McBroom design, as are many golf courses in Canada. McBroom installed a lot of fairway bunkers on Crowbush, on the edges of the fairway and in the landing areas themselves, the more to confuse your eye as you stand on the tee. The Links has a flat layout, though the terrain picks up movement as you approach many greens in the form of mounds, elevations shifts, drop-offs and swales. Most every green has different levels with ridges running across several holes. PLAY: You’ll see a ton of the famous red clay of PEI in the 120 bunkers at Dundarave Golf Course. The contrast is dramatic because of the smooth, lush green fairway. You won’t find yourself cursing the bunkers at Dundarave because they’re such an integral part of the course, defining strategy. The bunkering is interesting, but there’s more to Dundarave than red sand. The fairways are wide and inviting, bordered by pine, fir and beech trees, and the architects slyly used the Brundenell River that slithers through the Canadian terrain and is frequently in view. All good things must come to an end, and that includes a Canada golf vacation to PEI and Nova Scotia. Fortunately, if you live in North America it is never too much trouble to book another golf package to this scenic golf wonderland. Just don’t wait too long or you will go through withdrawal by being away from Canada’s great golf courses located here on Prince Edward Island and Nova Scotia.